So I posted over a month ago that I was “back” to the blog. Not so much, it turns out, though I have been reading other people’s blogs. 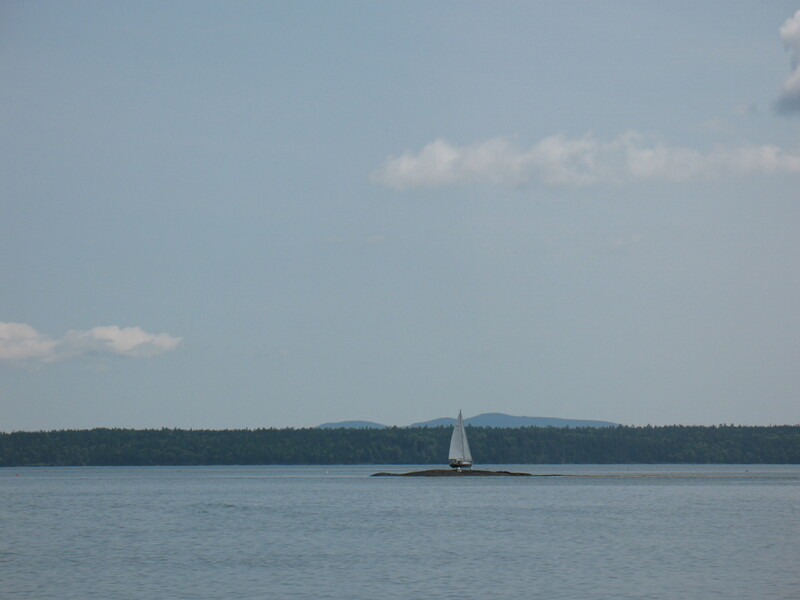 Part of my most recent hiatus was due to my week-and-a-half vacation to my home state of Maine. My parents were in Virginia visiting with family and I drove back up with them to Maine. The first few days were quietly spent accompanying my parents on their errands, visiting with elderly friends of the family, playing Ticket to Ride. 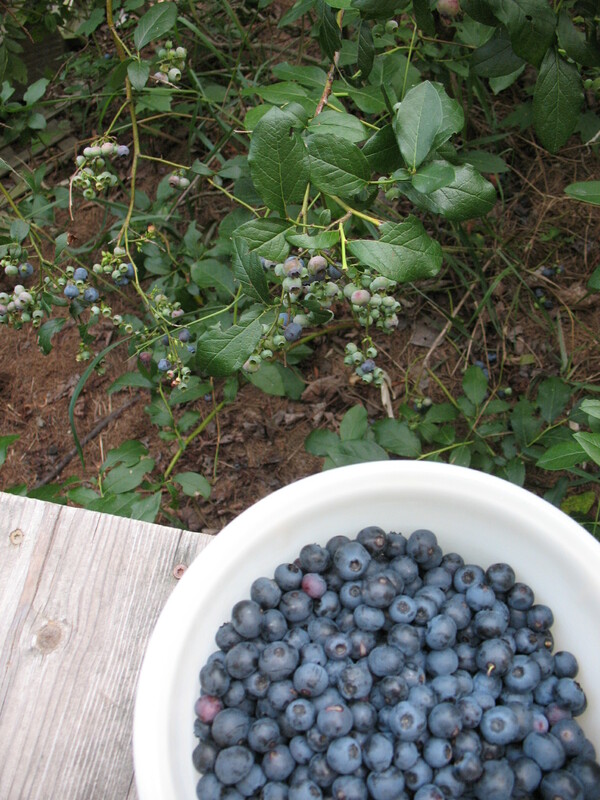 My parents have five blueberry bushes outside of their house and I picked some berries. My dad and I went kayaking on a small stretch of river. While paddling back to our launch point, an annoyed blue heron kept flying upstream to get away from us, except we were headed that way ourselves, so he finally gave up and flew across the river and behind the trees. On Sunday, I made balloon animals for the first time. My parents’ church was having a fun day, and I ended up by the balloons and followed the tiny instruction sheet to make some balloon dogs and swords, and even a dinosaur. I was very proud of myself. My cousin had Sunday off from his job so he invited me to join his group of friends at a natural swimming hole. 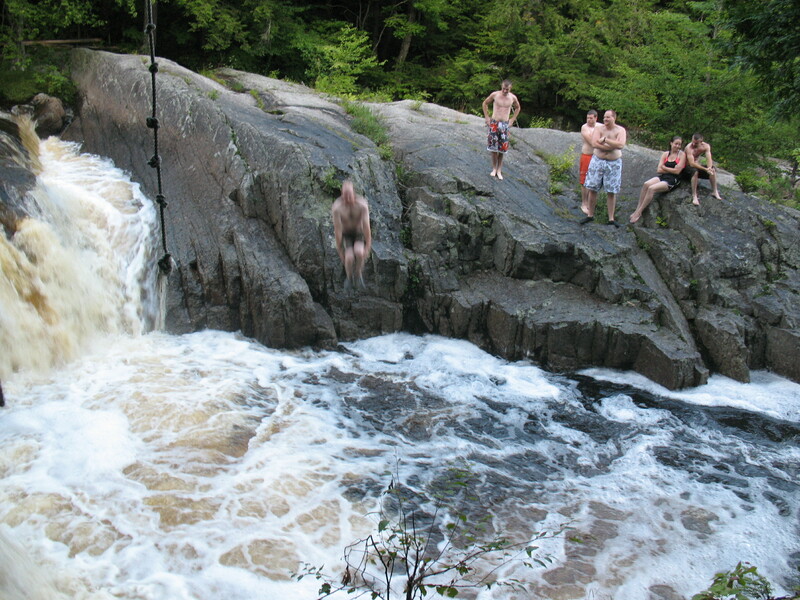 I had never jumped from a ledge into a swimming hole before. The water was very cold but the experience was worth it. Here is a picture I took of the group after I’d had several jumps in (I never did psyche myself up for the rope swing though). On Monday, we drove down to Boston to pick up my sister and her husband at the airport. 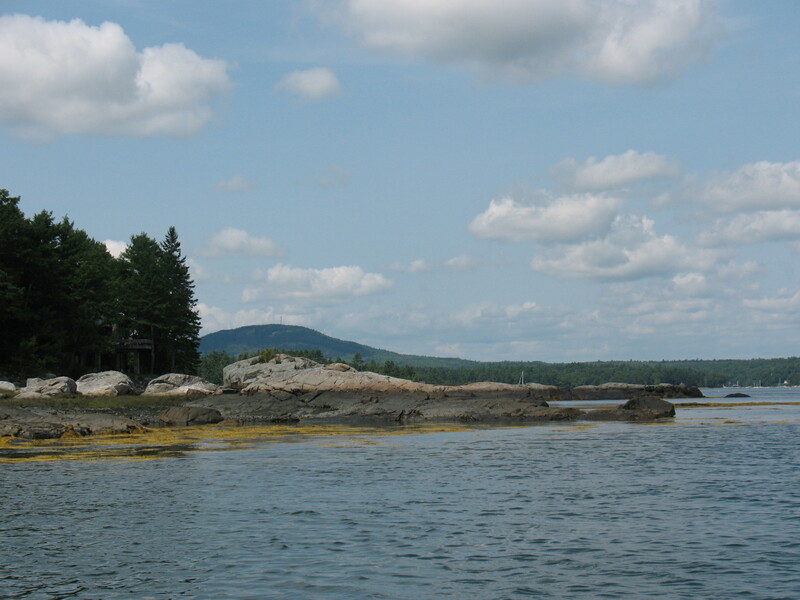 The next day, all of us went to Mount Desert Island. 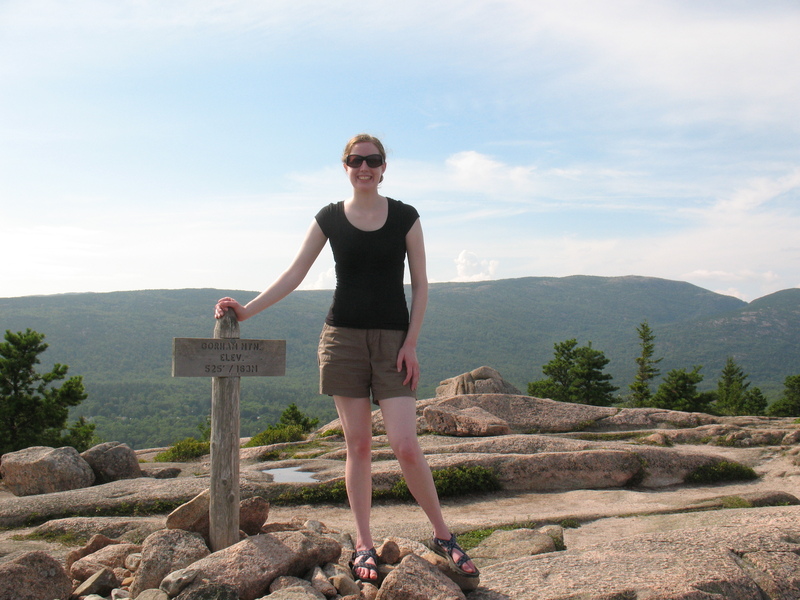 We ate lunch in Acadia National Park, near the spot where my sister and her husband were married over seven years ago. We hiked one of the smaller mountains. It was a gorgeous day and the Park Loop Road was lined with cars, especially near Sand Beach. 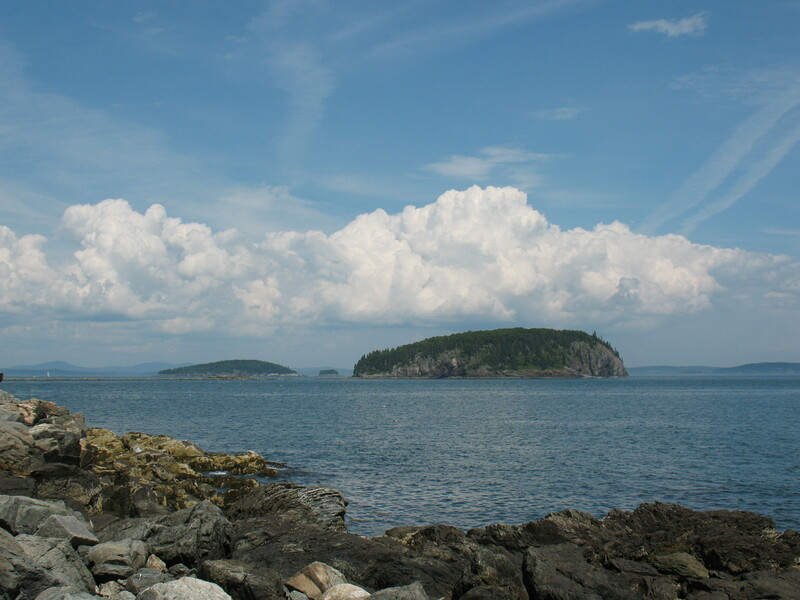 Earlier in the summer, my parents had gone to Cape Breton, mostly to take in the Celtic music scene there. A fiddler told them about a venue called Skye Theater in western Maine. So we drove to Skye Theater on Wednesday to check it out and see a concert. We arrived close to sundown and the view was spectacular. The theater was cozy and lined with wood, built by volunteers. There was a Uilleann pipe player and a guitarist playing together that night. The pipes were great especially on the rousing numbers and the guitar sounded like honey in the songs where the piper switched to the low whistle. 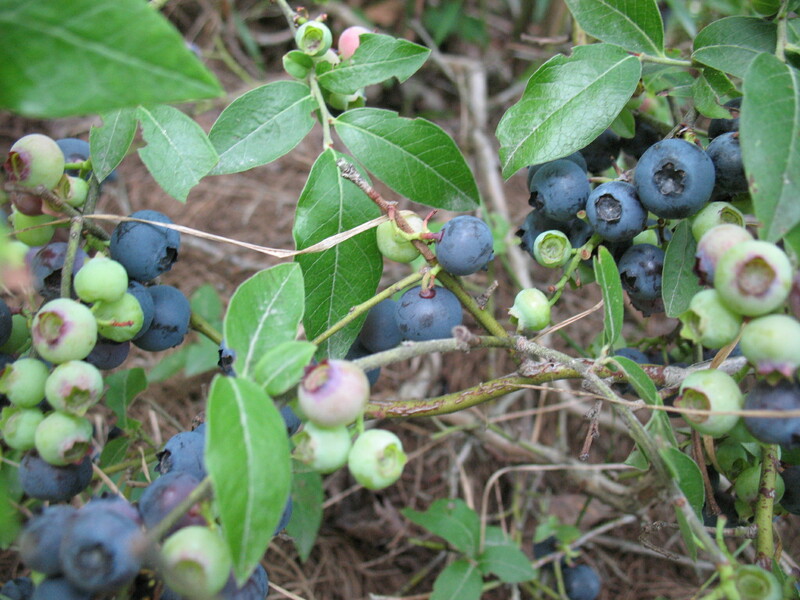 The next day it rained and my Midwest-residing sister said it had been a long time since she’d seen a day of rain. We played a couple of board games including one called Pandemic which involved all players working together to try and cure four diseases before it’s too late. 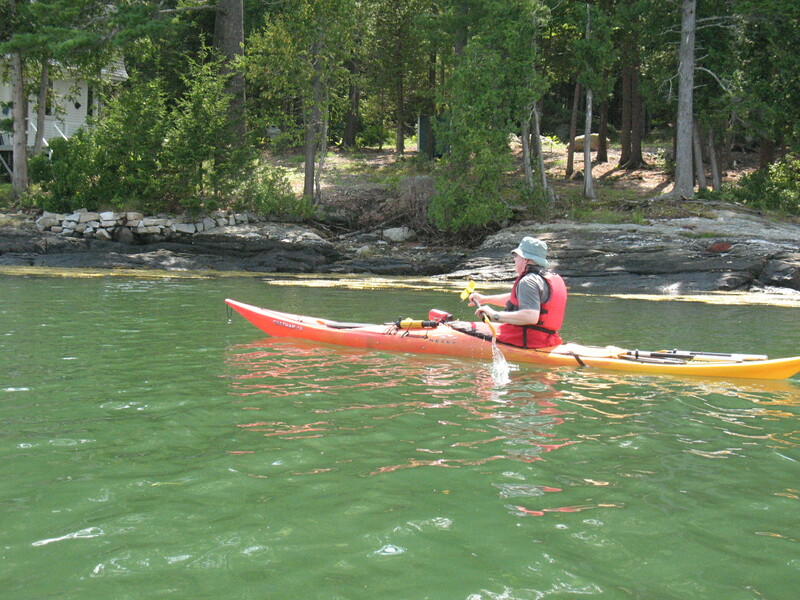 On Friday, we got together my parents’ two kayaks and the canoe and drove to Blue Hill Bay to explore. I think my dad said later that we paddled something like six miles. I was in the canoe and my parents and my sister and her husband took turns in canoe and kayak. (We pulled off on some land to accomplish the switch, by the way. No on-the-water boat-switching here.) We saw a seal observing us during our trip, popping his head up several times in new locations near us. The loons also eyed us. I got sunburned on my knees. We got back before low tide which was good or we’d have had to drag the boats through mud to get back to the dock. Afterward, we visited some Blue Hill stores, including – at my request – the Blue Hill Bookstore. My mom recognized Sarah Orne Jewett’s The Country of the Pointed Firs, possibly from my blog, and showed it to me. She didn’t know that I’d been hoping to find a cool-looking edition of this book. I didn’t know there even was an illustrated version of the book. 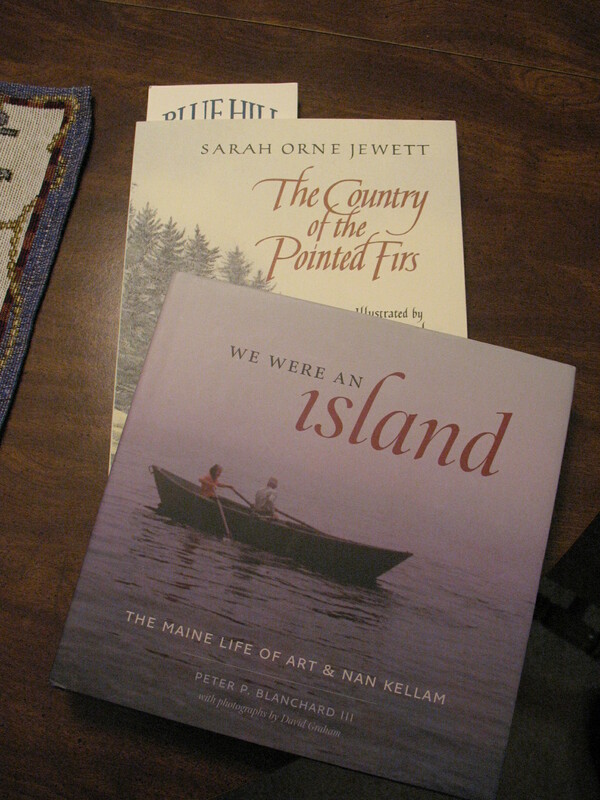 The other book I picked up was a signed copy of We Were An Island: The Maine Life of Art & Nan Kellam by Peter P. Blanchard III, a title I’d heard about on a book blog a couple of years ago. 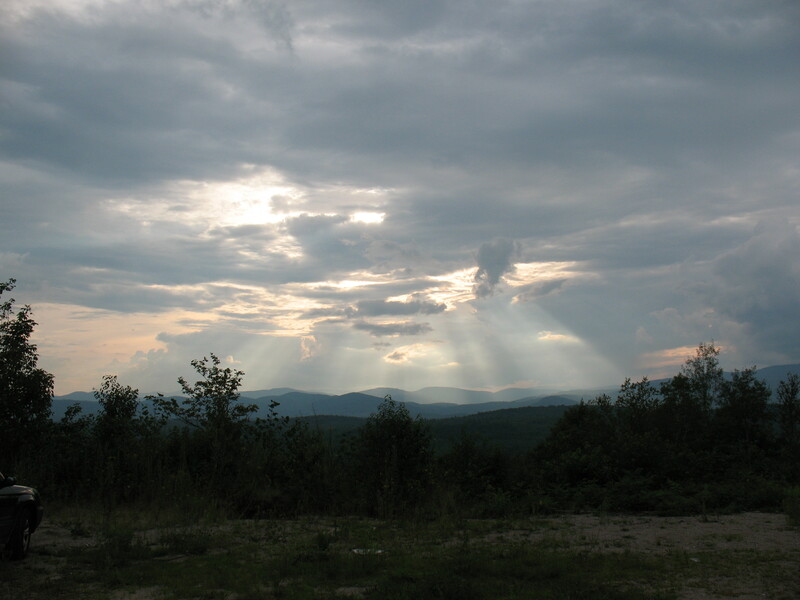 After the Blue Hill trip, the vacation began to wind down and soon it was time to return home, although I had been so thoroughly in vacation mode, that at one point, I blanked out on one part of my address and had to look up my own address in my mom’s address book. When I’m on vacation, I am on vacation, what can I say. Anyway, some books were of course read while I was on vacation. I hope I’ll be rustling up some reviews for them soon, but no promises.